This new viral marketing campaign for The Hunger Games: Mockingjay - Part I is fantastic. Not too long ago, an address from President Snow (Donald Sutherland) threatened revolution from the districts with the captured Peeta (Josh Hutcherson) at his side. 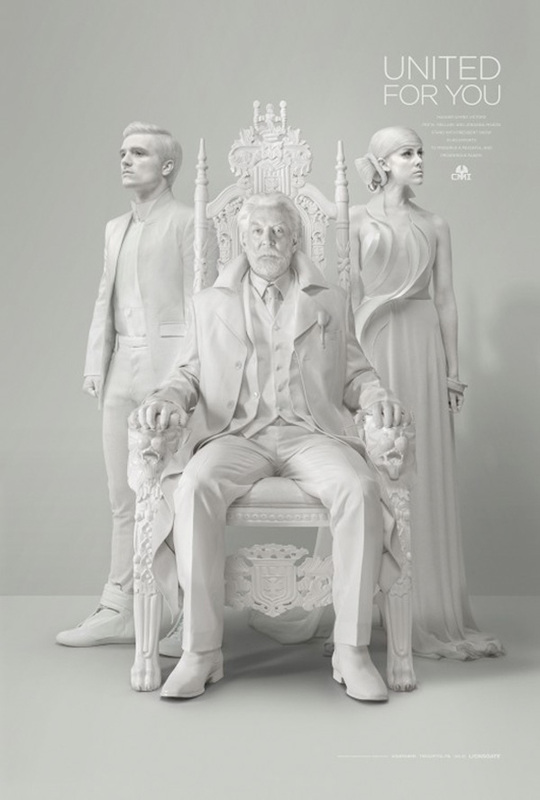 This time they're joined by another captive, Joanna Mason (Jena Malone) as President Snow calls for unity. However, the address is interrupted by a rogue transmission from a familiar face, attempting to keep the revolution alive by telling everyone that the Mockingjay lives. These are awesome, and we hope there are more to come leading up to the release. Watch! Yeh me too. Very good marketing here. Really like their marketing/creative approach. Some one gon' be angry. Diggin' this marketing. The third book was my least favorite, so they are doing things right to sell me a ticket. The third book sucked anyway.